An open letter by Hartoyo published by the Asian Human Rights Commission. I wish to congratulate you on your appointment as a judge of the Constitutional Court for the term of office 2013-2018. According to information gleaned from various media reports, one of the reasons why the House of Representative chose you was because you are against gay marriage which ‘is not in accordance with the 1945 Constitution’ and ‘is part of western culture’. Mr. Arief, allow me introduce myself. I am Hartoyo, 37 years old, a man born and raised in Binjai, North Sumatera, in a Muslim Muhammadiyah family. I am gay and since puberty until now, I have never been in love with a woman. My love has only been for men. If you ask me: ‘why are you gay?’ I myself do not know the answer. Is it perhaps genetics or is it perhaps something else? Maybe my love for men is the same emotion that you feel when you are in love with somebody. It is a sexual preference we are born with that in time grows clearer. I have never been to any western countries and I have fallen in love with men even before I understood what Indonesia and Islam were. I have been a homosexual even before I knew that homosexuality is considered to be a sin in many religious teachings. Mr. Arief, if gay marriage is part of western culture then how would you explain the fact that gay marriage is still disputed in western countries –such as the United States- even today? Will those who are against gay marriage in those countries then argue that homosexuality is an eastern, southern or northern reality? History in fact proves that when western countries criminalized homosexuality, it was us who actually celebrated sexual diversity in our culture. In 2007 in Aceh, I was tortured and persecuted by police and the local community simply because I was having intimate relations with my gay partner in the house I was renting. The perpetrators dragged, hit, verbally abused and pointed guns at me. They urinated on me and my partner’s head just because we were a gay couple – a couple whose sexual orientation they disagreed with. Fear, and the trauma of torture I experienced, still exist within me and haunt me. Even though I have now moved to Jakarta, I am afraid that the same discrimination coupled with violent behaviour towards me will occur again. I do sincerely respect your personal views on homosexuality. Nevertheless, because of your position in government, you need to be open to the millions of homosexuals in Indonesia. They are citizens who have contributed to the development of this country in various professions, both at a national and international level. Perhaps they even form part of your working team. For these reasons, it is imperative that in the public and private sphere your pronouncements are appropriate and distinguished by wisdom, when minority individual values warrant respect. Mr. Arief, as it is against the Constitution, if I and my fellow homosexuals make love with our partners, then where will you suggest that we do? Do not we have the same rights in this country to live in peace with our partners just as heterosexuals do? Are we not also Indonesians who pay taxes and contribute to the betterment of our country? Mr. Arief, is it a violation of the Constitution to ask the state to protect me and my partner from any kind of discrimination and violence? Does not Article 28I (2) of the Constitution guarantee that ‘Everyone has the right not to be discriminated against based on any grounds and has the right of protection from such discriminatory acts’? My homosexual friends and I in Indonesia have to stay constantly on the alert as threats and attacks lay in wait for us on every side. Those who are in the lower classes economically are the most vulnerable. You, your wife and other married heterosexual couples have no doubt never felt or experienced what I feel and experience as a homosexual male in Indonesia. That, Mr. Arief, is because the state has left us out. If ‘the west’ is so bad, what do you think then of the practice of polygamy, children marriage, female genital mutilation and domestic violence which exist and are rooted in ‘our eastern culture’, in Indonesia? Sir, is there any culture in the world which is still ‘pure’, standing alone, not influenced by other cultures, whether it be east, west, north or south? Sir, it is not my intention to preach to you but I wish to reaffirm that homosexuality existed in this part of the world even before Indonesia became a nation. There were cultural practices in our country which celebrated sexual diversity such as the Bissu, Warok-Gemblak, Mairil, Ludruk, Lengger dancers in history, Abu Nawas for rhymes, and many other Indonesian cultural rituals – all of them demonstrating the practice of homosexuality. As it existed ages ago in this country, then surely it is not a part of western culture? Last, but not least, Mr. Arief, homosexuality is here in society and is all around us whether you like it or not. This is just a matter of facts, facts that were there from olden days until the present time. The homosexuals are perhaps some of those closest to us: our sons, younger and elder brothers, grandsons or best friends. They are not western but rather they are part of our daily life. Again, sincere congratulations on your recent appointment as a Constitutional Court judge. I am hoping that Allah SWT will always give you and your family his blessings. You are in such a special position in Indonesia. You can ensure that justice and love are spread in our land. I apologise for any words in this letter which you find inappropriate. Hartoyo is the General Secretary of OurVoice Indonesia, a non-profit organisation working on the issues of lesbian, gay, bisexual and transsexual (LGBT). 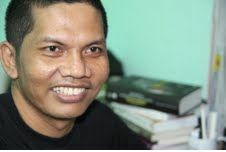 Due to his sexual orientation, Hartoyo was tortured by the police in Aceh in 2007. 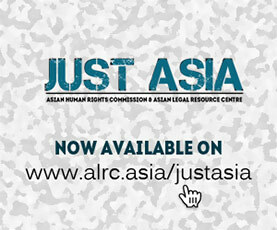 Please watch the video of AHRC’s interview with him in 2009 and read our urgent appeals on his case for further details. The original version of this letter was published in Bahasa Indonesia on OurVoice’s website.